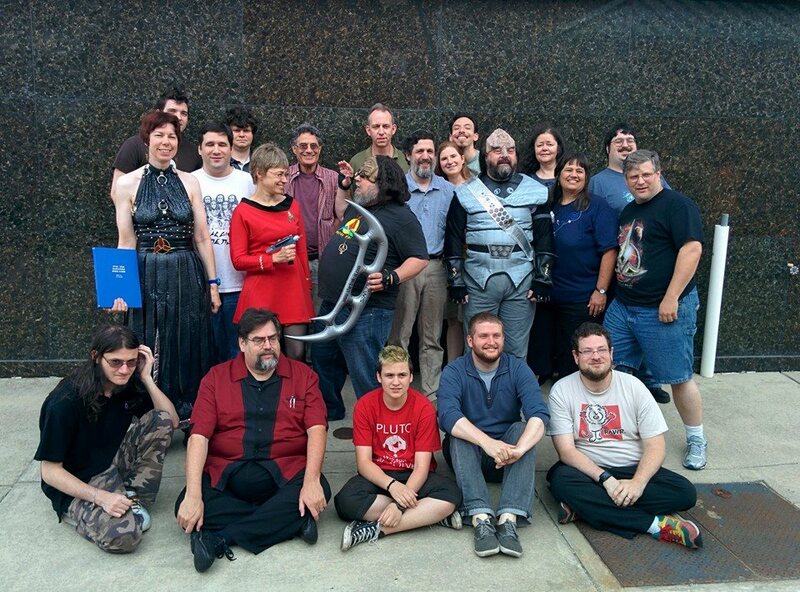 The twenty first annual meeting of the Klingon Language Institute (aka qep’a’ cha’maH wa’DIch) will run from Thursday, July 24 through Saturday, July 26th, 2014. Once again we will be at the Comfort Inn in Essington, PA, just outside of Philadelphia and a short shuttle ride from Philadelphia International Airport. Our room rate will be $89/night (plus applicable taxes). Our room block expires on June 23rd, and reservations made after that date may not qualify for our discounted rate, nor will the hotel guarantee availability of rooms. To avoid such unpleasantness, reserve your room prior to that deadline. If there is sufficient interest and requests, a morning Beginners’ Class will be held on Thursday (and possibly Friday as well), and Certification Exams can be made available on Thursday, Friday, and Saturday afternoons.